Watch out for Nancy Atherton's latest, Aunt Dimity and the King's Ransom, coming in July 2018 from Viking! The latest in this enchanting and fast-selling series, featuring the beloved ghost Aunt Dimity, opens in a picturesque English cottage where the lovable Lori Shepherd is up to her elbows in pureed carrots and formula bottles, striving to be the perfect mother to twins! 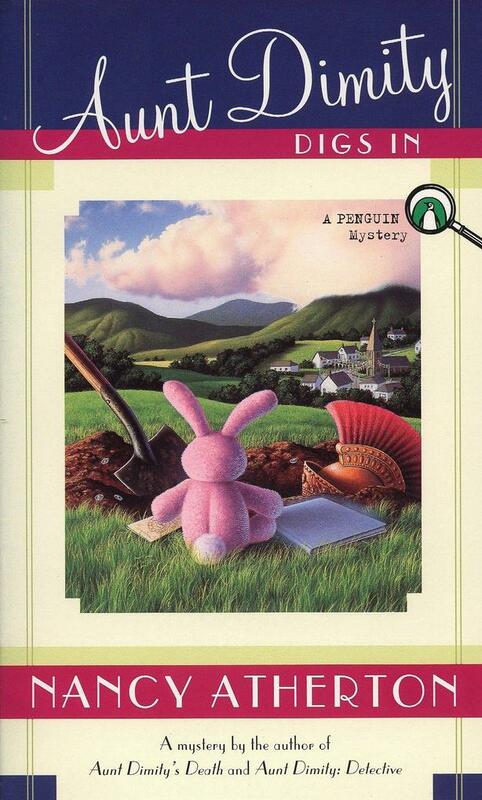 Luckily, a beautiful Italian nanny arrives just in time--so Lori can help settle the local civil war stirred up by a visiting archaeologist's excavation.With Reginald, the stuffed pink rabbit and Edmond Terrance, the stuffed tiger in tow, Lori hunts down a missing document, and the archaeologist digs up a lot more than artifacts. It is Aunt Dimity's magic blue notebook that provides the key to buried secrets and domestic malice, and shows all the residents of Finch that even the darkest acts can be overcome by forgiveness. Nancy Atherton is the bestselling author of twenty-two Aunt Dimity Mysteries. The first book in the series, Aunt Dimity's Death, was voted "One of the Century's 100 Favorite Mysteries" by the Independent Mystery Booksellers Association. She lives in Colorado Springs, Colorado.